Nadine wished to design and create a necklace with a strong, yet elegant silhouette. 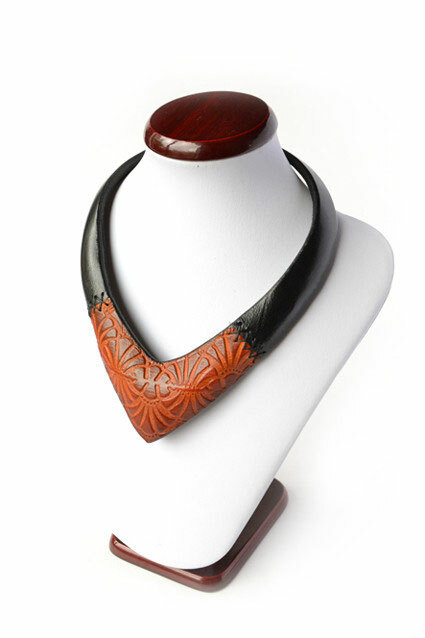 A necklace that is a true feature piece when worn. Depending on ones attire, they can be dressed up or dressed down. Made of vegetable-tanned natural russet leather, embossed, wet-molded, hand dyed and sealed. 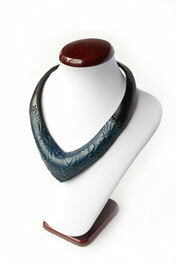 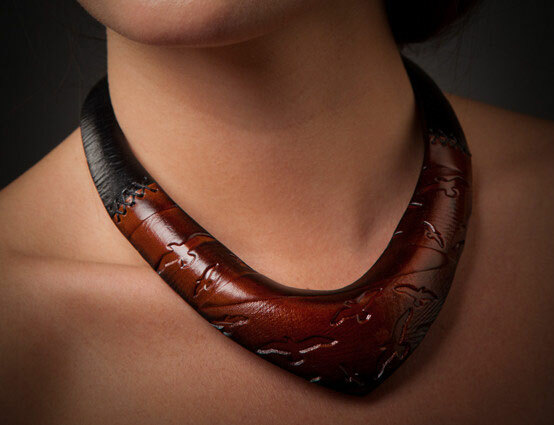 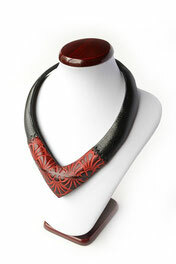 Although solid in appearance, these necklaces are surprisingly lightweight and can flex to fit a range of neck sizes. Chain has been added for individual sizing. 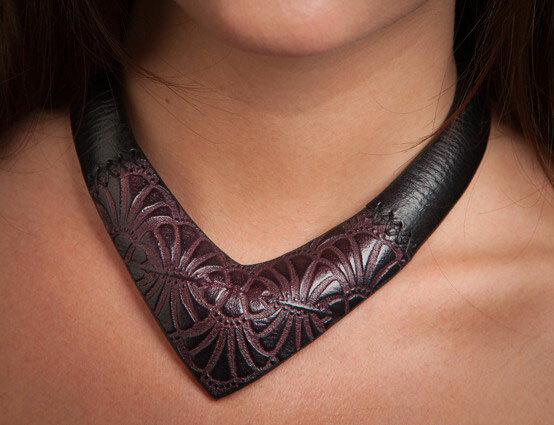 As leather is an organic material, every piece ends up as "one a kind". They are hand crafted with the upmost care.